All the high-end smartphones in the recent past have come with Qualcomm Snapdragon chipsets while the mid-range smartphones in the emerging markets feature MediaTek chipsets. So, where does that leave Nvidia’s Tegra chipsets? Well, Nvidia had announced the new Tegra 4 chipset last year but it did not get reasonable traction due to production and hardware issues. But things might change with Nvidia Tegra K1 chipset. We have come across benchmark results of the Tegra K1 and the chipset really blows away the competition. 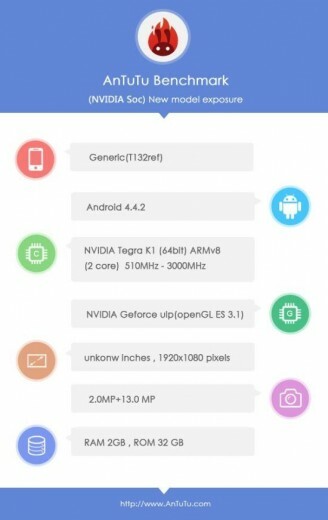 We did not have any information whatsoever on Tegra K1’s abilities but now, we know. The 64-bit chipset packs a big punch in the benchmark scores. We have come across a device with the Tegra K1 chipset over at AnTuTu’s benchmark database. Nvidia Tegra K1 easily surpassed the Snapdragon 800, beating the current industry beloved by over 10,000 points. The upcoming beast from Qualcomm, the Snapdragon 805 was also defeated by the K1 by over 200 points. It is interesting to note here, that the Nvidia Tegra K1 in the benchmark database is a dual-core SoC while the competition features quad-core Krait cores. The benchmark listing also reveals that the maximum clock speed of the Tegra K1 is 3GHz and not 2.5GHz, we have been knowing all the while. 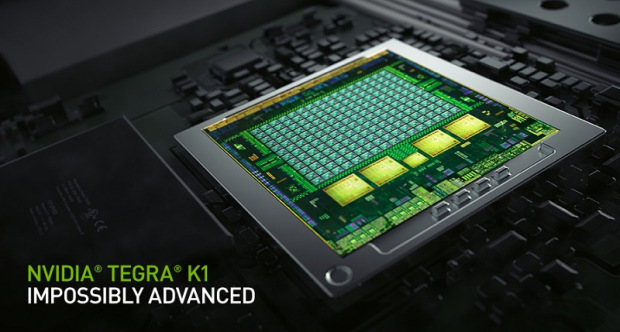 Nvidia is expected to produce the Tegra K1 in numbers, starting in second half of the year and we should see some devices featuring the chipset later in the year. The Tegra K1 could surely reverse Nvidia’s fortunes if the benchmark results we have come across are true.